You may find yourself questioning whether you should hire a licensed electrician or a handyman for the electrical work that you need to have done. With a licensed electrician, you can ensure that they’re licensed, insured and covered for any type of electrical work that needs to be done. Making the choice shouldn’t have to be difficult. Make sure to weigh the pros and cons of each to choose which is going to be the best fit for you. A licensed electrician has the proper paperwork stating that they’re a professional in the field. They have the necessary background and training that shows that this is what they specialize in. Additionally, if something was to go wrong with the process, the homeowner’s insurance policy will cover the costs and damages that occur because of the problem. Handymen provide necessary help where it is needed. Some of them provide electrical work, but they’re not specialized or licensed to do this type of work. Sometimes handymen are not even insured. This is something that can cost less, but it might not work out in the end. They knowledgeable and great for many other projects, but electrical issues may be better off left to those that specialize in it. An electrician and handyman are available for when you’d like to get the necessary electrician help that is required. Through their help, you can always ensure that you’re obtaining the best help needed without having to worry about something going wrong with the work that is being provided. 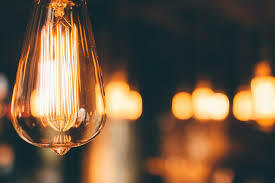 Fill out our form below and be connected with an electrician contractor working in your area. They are available to provide all the electrical work that is needed when the time comes. This way, you’re covered when something happens.